The latest "State of the State" survey from Michigan State University indicates people in the state are feeling pretty good about the economy, a little more positive about the Governor, and the same about the President. MSU Economics Professor Charles Ballard conducts the survey of likely voters in Michigan once a quarter. The latest was taken in August. 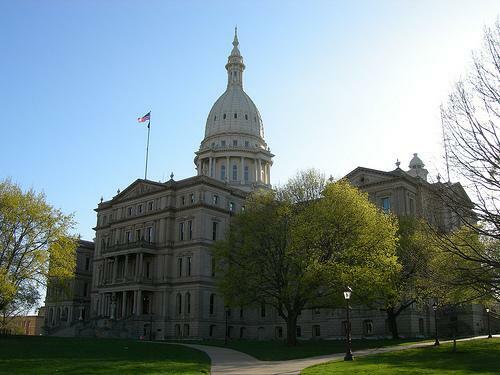 It shows that Governor Snyder's approval rating rose, from 33 to 38 percent. That's still lower than the President's 41 percent. But that 41 percent is unchanged from the previous quarter's survey. DETROIT (AP) - The U.S. Labor Department says a Detroit-based bakery chain has agreed to pay $63,000 in back wages to 21 employees whom it wrongly classified as independent contractors. The agency said Wednesday that its investigation found that Sheila's Bakery LLC committed violations of the Fair Labor Standards Act at its three locations. The agency says the misclassification of the workers deprived them of federally mandated overtime pay at time-and-a-half when they worked more than 40 hours in a week. Instead, they got a flat hourly rate or a flat weekly salary of $340 to $400. The government says it loses substantial amounts of income, Social Security and Medicare tax payments because of the misclassification of employees as contractors. Stateside: Howard Cooper, world's most generous boss? Let's give a shout-out to a man who may have set the new "gold standard" for generous bosses. Long-time Ann Arbor auto dealer Howard Cooper is retiring this month. As his employees reported for work this week, they got an unexpected "expression" of Mr. Cooper's appreciation: a check for $1,000 for every year of service. August was a good month for U.S. automakers compared to a year ago. In total, the big three sold more than 585,700 vehicles last month. and GM says sales were up 10 percent. 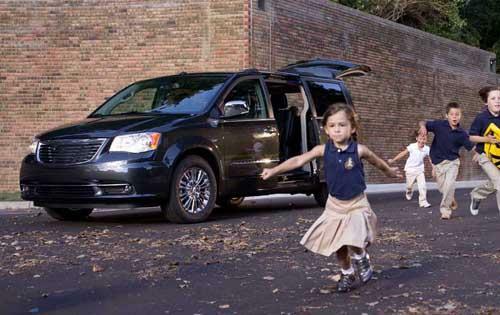 Chrysler had its best month since August 2007, according to the AP, and had sales of more than 148,000 vehicles. They say their sales were led by demand for the Dodge Ram pickup truck. Ford sold 197,249 vehicles in August, and in a press release said high gas prices led more people to their lineup of vehicles. “As fuel prices rose again during August, we saw growing numbers of people gravitate toward our fuel-efficient vehicles – cars, utilities and trucks,” said Ken Czubay, Ford vice president, U.S. Marketing, Sales and Service. And General Motors sold 240,520 vehicles in August. More than Ford or Chrysler. In their press release, GM said it's ready for gradual improvements in the economy. DETROIT (AP) - A media company that hosts conferences on the relationship between technology, economy and social progress is setting its sights on Detroit. Technonomy Detroit plans to bring together local and national tech leaders September 12th at Wayne State University. The list includes Twitter co-founder Jack Dorsey and Steve Case, chief executive of investment firm Revolution LLC and co-founder of America Online. Topics for discussion include the future of manufacturing and its impact on jobs, and "Is Detroit the Next Berlin?" A long-time Monroe business may decide to stay and build its world headquarters there. 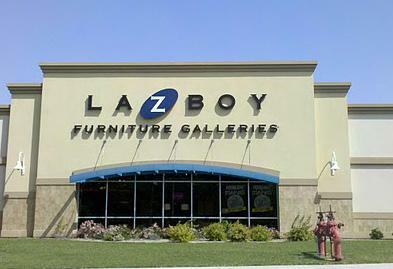 Think "recliner" and chances are La-Z-Boy will come to mind. The company that makes the famous chairs and other furniture started out in the city of Monroe 85 years ago. It has about 500 employees at its Monroe location. Now the company wants to build a new facility and says it's interested in staying in Monroe, but is also looking at other sites. Bob Clark is the city's mayor. He says the City Council will review some economic incentives. Last week, Dustin Dwyer from our State of Opportunity team showed us how upward mobility isn't so easy in the U.S., especially for disadvantaged kids. 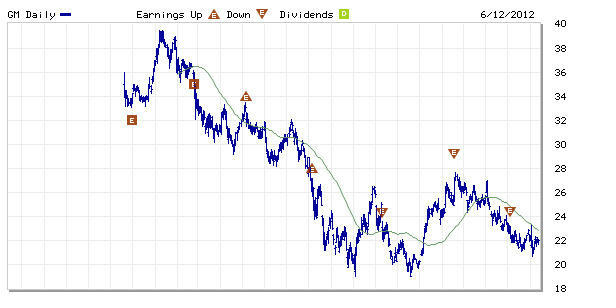 This week, Dustin shows us how some might break that pattern. Last week, I talked about the Michigan House of Representatives voting to slash the state income tax over the next six years. I thought this didn’t make a lot of sense, given that the state is having a hard time paying for essential programs now. Later that day, I talked more about this with the man I think has the best overall knowledge of our state’s economy: Michigan State University professor Charles Ballard, author of the best little book there is on the subject: "Michigan’s Economic Future." A sign of the times: remnants of Ann Arbor's iconic, now bankrupt, book seller - the Borders flagship store - will now be occupied by a network security and data protection company - Barracuda Networks. The company says it plans to create 184 "high tech and engineering jobs" over the next three years in downtown Ann Arbor. What's Ann Arbor's magic sauce? Parking spaces, smart people, and a desirable place to live. As car companies struggle to meet growing demand, the third shift is making a comeback. But many factories running on three shifts are doing it differently from in the past. And that new "three crew" shift pattern could make what's normally a hard job even harder. At Ford's Michigan Assembly Plant in Wayne, employees work 10-hour shifts four days a week. The so-called A crew gets days, while the B crew gets afternoons. But the C crew shift rotates its start time every week. On Fridays and Saturdays, workers start at 6:00 a.m. On Mondays and Tuesdays, they start at 4:30 p.m.
Michigan’s home foreclosure rate continues to fall dramatically. 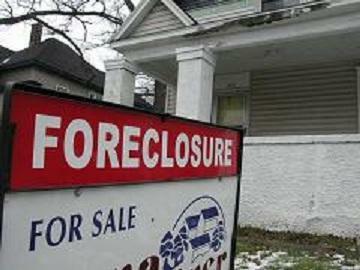 Realty Trac reports today foreclosure filings in Michigan fell another 6% last month and are down more than 40% compared to a year ago. “We’re getting close to now 2 years of a long-term downward trend in Michigan foreclosure activity,” says Daren Bloomquist, who is a Realty Trac vice president. Michigan’s unemployment rate ticked up last month. Michigan’s unemployment rate rose two tenths of one percent in May to 8.5%. General Motors CEO Dan Akerson told stockholders at today's annual meeting that "he regrets GM's stock hasn't done well." GM's stock price is hovering around $22 a share. That's a big drop from 2010, when GM held an initial public offering and the stock sold at about $33 a share. "I mean it's great we had a good year last year, why is the stock down? Because there's uncertainty into the future. The most obvious is, uh, Europe," said Akerson. I heard some interesting ideas about our economic future on Mackinac Island last week at the Detroit Regional Chamber of Commerce's annual conference of the state's movers and shakers. Toyota reported a sales increase in May of 87% compared to the same month a year ago - when the company's vehicle production had plummeted due to the tsunami hitting Japan in March. There were more selling days this month than last May, but it is still a robust recovery from the disaster, which reduced inventories on Toyota dealer lots and sent some customers to other car companies. Toyota remains number three in overall sales in the U.S., however, just behind Ford, which saw its sales increase 13% in May. 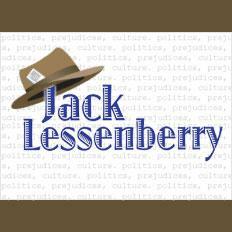 Each Wednesday I check in with Michigan Radio's Political Analyst, Jack Lessenberry, for a round up of state politics. This week Jack is on Mackinac Island (he's promising not to eat any fudge) for the annual Mackinac Policy Conference. The 3-day conference is billed as a time for state business and political leaders to talk about and shape the state's future. Lessenberry said they are talking this year about the comeback Michigan has been on. He says Governor Synder talked about how Michigan has the right to be proud of that fact. "In some years people at the conference have been almost in the fetal position talking about some of the problems we've had," said Lessenberry. "This is an acknowledgment that people want to be more upbeat about the future." The Nature Conservancy has released an analysis saying that invasive species such as zebra mussels and sea lamprey cost businesses and consumers hundreds of millions of dollars each year, besides damaging the environment in the Great Lakes region. Power companies spend $130 million annually removing mussels from electric plants. The report out yesterday said tourism and other industries lose $50 million a year in reduced demand because of invasive species. The study conducted by Anderson Economic Group of East Lansing says the situation will get worse if Asian carp reach the Great Lakes. Photocopies of petitions, dates that were cut and pasted onto the petition forms and different-colored ink on identical petitions were just a few of the tactics used to try to fool state election officials into believing that U.S. Rep. Thaddeus McCotter had enough signatures to get on the Aug. 7 primary ballot. "Michiganders are too humble. We don't brag well," Snyder said Tuesday as he opened the Detroit Regional Chamber's 2012 Mackinac Policy Conference. "We have to speak up more. We are the comeback state in the United States right now." 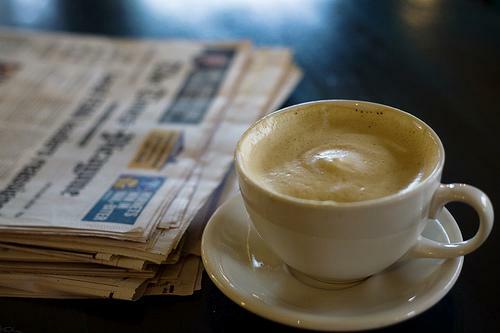 The Detroit News reports on looming unemployment benefit cuts. Even though Michigan's unemployment rate has dropped to 8.3 percent, 205,044 workers in the state still collect unemployment benefits. But after June 23, up to 12,212 of those long-term unemployed workers will lose their emergency federal benefits under a formula that automatically cuts them off when the state's jobless rate drops. 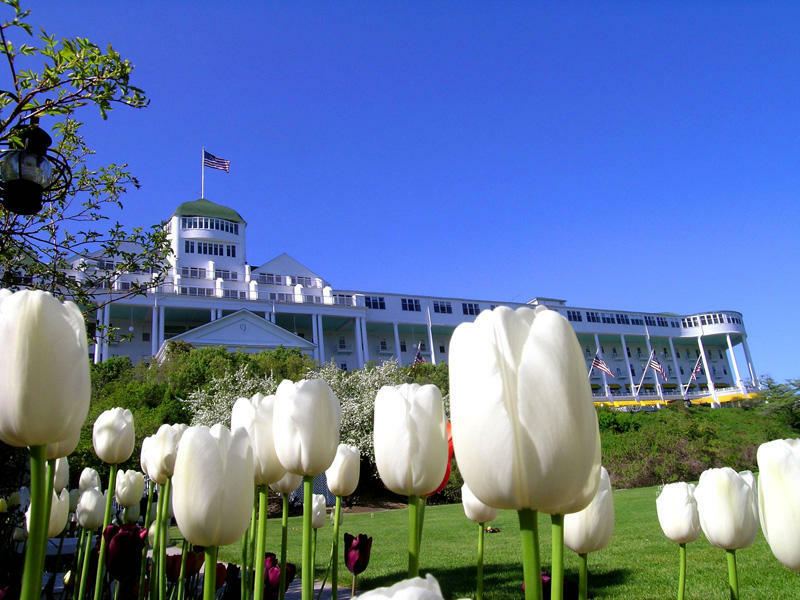 This week, legislators, policy makers, and business leaders are gathering for the annual Mackinac Policy Conference. The conference is sponsored by the Detroit Regional Chamber and this year organizers say they hope the conference will "spur a comprehensive dialogue on innovation, collaboration and the 21st century global market." 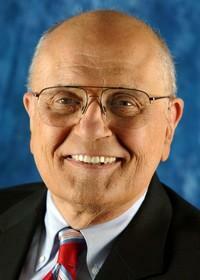 John Dingell is a Democrat representing Michigan's 15th Congressional District in the U.S. House. He wrote an op-ed about the conference. It appeared in the Detroit News today. In the op-ed, Dingell wrote about his desire for lawmakers to come together in a more bi-partisan way. He told Michigan Radio's Jenn White that there are a number of barriers to the bi-partisanship. "Excessive partisanship is something which is both a reality and an end in itself to a lot of people who participate," Dingell said. "It's encouraged by media and 10-15 second soundbite and it is encouraged by the fact that politics has become a blood sport. Cheap shots are the way of the day and that we have somewhat forgotten the original intention of the founding fathers that we are to work together in the broader public interest." He says the people have to understand that this is "our" country. Dingell quotes his father who used to to say "we cannot look at the other fellow in the boat and say 'pardon me sir, but you're end of the boat is sinking.' We are all in this thing together." 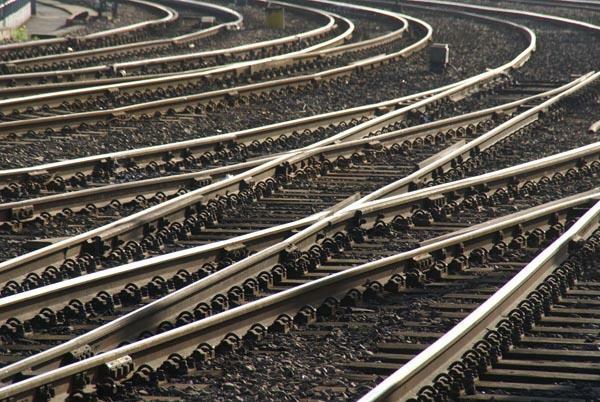 A strike by Canadian railway workers threatens to slow or shut down production at some U.S. auto plants. 5,000 Canadian Pacific Railway workers walked off the job early Wednesday because of a dispute with management over a new contract. Large numbers of finished vehicles and auto parts come to U.S. factories via Canadian Pacific. Ford and General Motors say they don't expect the strike to affect production - at this time. Chrysler says it is actively working to mitigate any impact to its operations through alternative shipment methods, such as trucks. The longer the strike goes, the greater the chance it could affect the U.S. auto industry. The Canadian Labor Ministry says it has the authority to intervene and will do that if the two sides haven't reached a deal by Monday. Small business owners and hopeful entrepreneurs are in Detroit today to get advice on starting or improving a business. 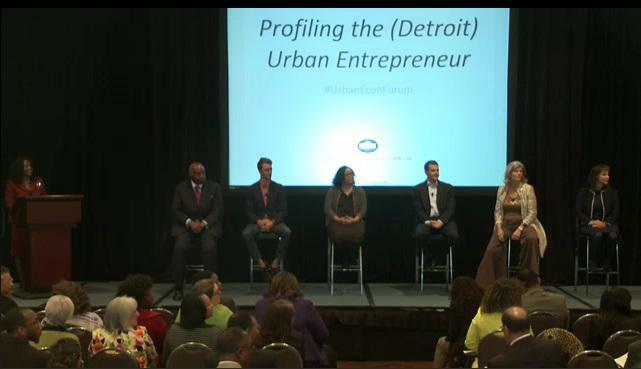 The Urban Economic Forum, held by The White House Administration, hopes to help entrepreneurs in Detroit connect to resources and network with other business leaders. The White House Administration said it is committed to supporting the Detroit area’s small businesses. Among the topics of discussion were the resources available to minority and urban entrepreneurs who are trying to access capital for their businesses. Mentors were also available to provide advice to business owners. In a press, release the White House Administration wrote that other Urban Economic Forums will be held in Chicago, Illinois, and Columbus, Ohio. There are people who lose their jobs during the best of times, and those who are wildly successful even during a depression. But what really matters is the overall trend. When you look at that, and at a flurry of new numbers that came out yesterday, it seems clear that Michigan is in fact doing better than a year ago. Michiganders are becoming more optimistic about the economy and that positive thinking is adding a bit of extra shine to Gov. Rick Snyder's image. That's according to new results out today from Michigan State University's State of the State Survey. An MSU press release says state residents haven't been this positive about the economy since 2005, with 54 percent of survey participants characterizing their financial situation as "good" or "excellent" and 61 percent expecting things to get even better in the year to come. "The Michigan economy has added 150,000 jobs since the job market bottomed out at the end of 2009," said Charles Ballard, MSU economics professor and director of the State of the State Survey. "The improvement in the economy is reflected in the brighter mood in our latest survey." The findings are based on the latest quarterly phone survey conducted from Feb. 14 to April 15. A total of 963 Michigan adults were questioned in the survey which has an error rating of +3.16 percent. In the fall 2011 survey, conducted from mid-September through early November, only 46.2 percent of those answering the survey called their financial situation "excellent" or "good." Gov. Snyder's approval ratings also improved amongst those surveyed, rising to 33 percent compared with 19.3 percent last fall. 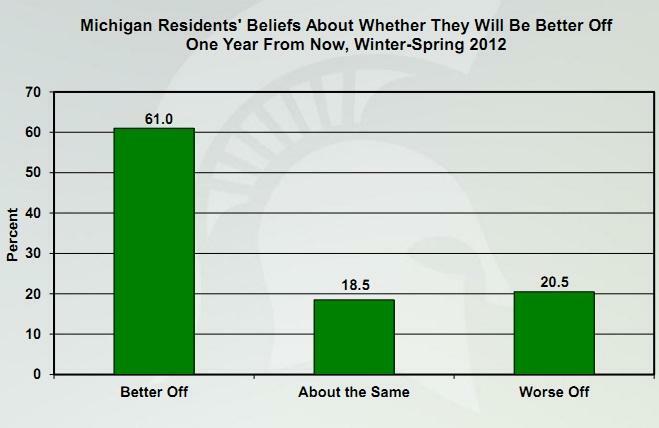 Every quarter, Michigan State University releases its State of the State survey. 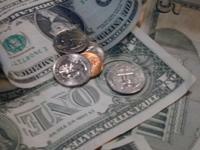 The survey questioned 963 Michigan adults about issues such as the economy, taxes, and Michigan’s financial future. 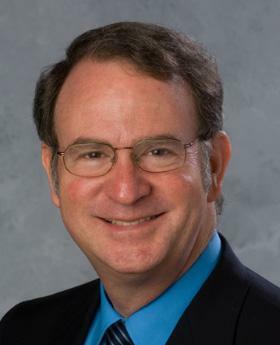 Charles Ballard is Michigan State University Professor of Economics. He said Michigan residents are more optimistic about the economy. Those responding to the survey, 54% said their current financial situation was excellent or good. And, 61% of said they believe they will better off a year from now. But according to Ballard, trust in government is not so good. Learn more about the approval rating for Governor Snyder and President Obama here. New technology jobs are coming to Detroit. Quicken Loans founder and chairman Dan Gilbert has been buying buildings and looking for technology tenants as part of a business he co-founded with Earvin "Magic" Johnson, and Brian Hermelin called Detroit Venture Partners LLC. 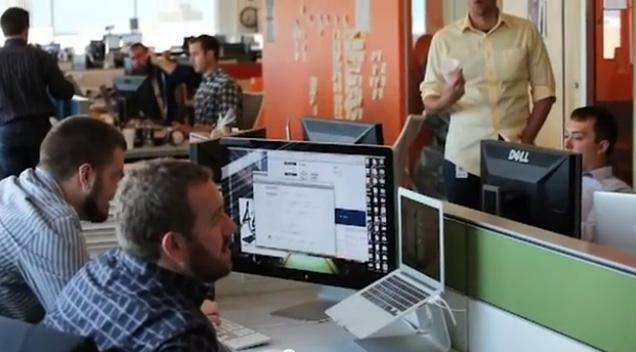 In a promotional video, Detroit Ventures Partners say their goal is to transform Detroit. "This is our time to turn a crumbled city into a new beacon of hope." But the self-proclaimed "creative business builders" and "street-fighters" are having a tough time finding talent in Michigan. The Detroit News reports today Quicken Loans and other tech companies are looking to fill positions with people from out of state. Online mortgage company Quicken Loans Inc., looking to fill more than 300 information technology positions, has taken its search outside Michigan to find qualified candidates. The Detroit-based company recently launched a website aimed at recruiting laid-off Yahoo workers. 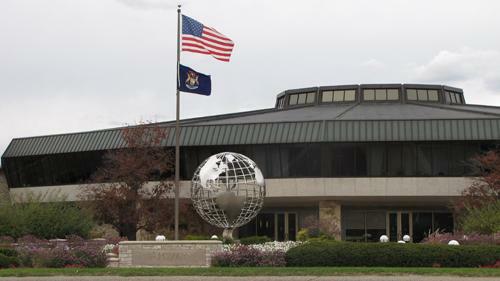 GalaxE.Solutions, a project management firm known for its "Outsource to Detroit" banner on its Woodward Avenue building, has stumbled trying to fill 500 IT jobs. "There is a shortage nationwide of good IT talent," said Ryan Hoyle, director of global recruiting for GalaxE, which has 150 IT workers in Detroit and hopes to add 350 in the next few years. "There just aren't a lot of top students going into IT." Michigan's Bureau of Labor Market Information & Strategic Initiatives lists several IT jobs on its Michigan's Hot Jobs List. These are "high demand and high wage" careers in Michigan that are expected to continue to be in demand through 2018. GRAND RAPIDS, Mich. (AP) - Hostess Brands Inc. has notified state officials it may have to lay off about 380 Michigan workers as part of its plan to get out of bankruptcy. Possible cuts include 70 jobs in Detroit and 65 in Troy. Hostess filed for Chapter 11 protection in January. Despite a tough state economy, people in Michigan are better able to move up the economic ladder than people in almost every other state. That's according to a report released by the Pew Research Center today. The study found overall economic status doesn't change much over people's lives. Erin Currier is from the Pew Center. She says the study did not look at why certain states did better than others. But she says there are some general lessons. “Certain drivers of mobility are extremely powerful and those drivers include things like educational attainment, savings and asset building, and neighborhood poverty during childhood among others,” Currier. The study found states with the most economic mobility are New York, New Jersey and Maryland.